Call us for volunteer opportunities! Looking for a chance to give back to your community? Are you seeking volunteer opportunities in the Albany, NY area? The New York State Elks Association can provide you with the community service you are looking for. We also have college scholarships! You can find volunteer opportunities in Albany, NY and throughout New York State through the New York State Elks Association. Click here to learn about the many programs the Elks have to offer and to find a local lodge. The Elks Association is a unique veteran service organization providing volunteer programs, community outreach programs, and college scholarship opportunities & more. We are dedicated to making a difference in each and every community we touch. For volunteer opportunities and community service projects within Albany, NY, reach out to the Elks Lodge today. To learn more about our community service and organizations in Albany, NY, give us a call today for more information. We’re a community. No matter where you go in the United States, an Elks Lodge is right around the corner. With more than 850 thousand members and 2,000 Lodges nationwide, Elks, a College Scholarships, provide charitable services that help build stronger communities, through our local lodges. We are an organization working towards providing volunteer opportunities in the community. Our mission is to give back through community service projects, donations, assistance, and more. There are always volunteer opportunities available to participate in. The Elks Lodge is one of the most well known and reputable community service and volunteer organizations in the country. We have a strong passion for community service and for building a better community for everyone who lives here. We do our work as a way to give back and to say thank you to the community. The Elks have disbursed nearly $5 billion in cash, goods and services to youth, veterans, the disadvantaged and handicapped and disaster victims. Some goes toward supporting patriotic and civic programs. Community service is a strong part of our vision here at the Elks Lodge. We work towards making our local community a great place for everyone to live in. With ample volunteer opportunities and chances to get involved, everyone can have an active role in the work that we do. Request additional information from your local Elks Lodge to hear more regarding our local community service and outreach programs. The Elks National Foundation assists your local Elks in their effort to support and contribute regularly to schools, veteran’s organizations, hospitals, nursing homes, police, fire departments and emergency services. Elks assist the young and the needy. We also provide support services and financial assistance to the families of active members of the military through our U.S.O. and Elks Army of Hope programs. There are always volunteer opportunities at the Elks Lodge. Committed to promoting the patriotic principles of individual freedom, opportunity and dignity, the Order of Elks is non-sectarian and non-political. With members from all sectors, denominations and political parties, the Order has always been a medium through which people could understand each other in spite of differences. Today, the Elks of New York continue the tradition and uphold the four cardinal virtues of the Lodge....Charity, Justice, Brotherly Love and Fidelity. Times have changed, but the Elks’ spirit remains constant. The organization is dedicated to community service; specifically, children and adults with disabilities, and veterans. It sponsors community activities and charitable functions such as food basket donations to the needy and scholarships for high school students. Community service is the best way to give back to your local town and to show your appreciation. If you are looking to get involved, The Elks Lodge is a good place to begin. We offer many different opportunities for youth organizations to volunteer as well as programs for adults. If you are ready to help us make a difference in Albany, NY, call us today. If you’re interested in veteran service organizations in the Albany, NY region, the Elks Association has been providing veterans services for nearly a century. The Elks history project is a collection of historic photos, stories and media dating back to the founding. Veterans deserve recognition for their commitment to our country and their dedication to serving. 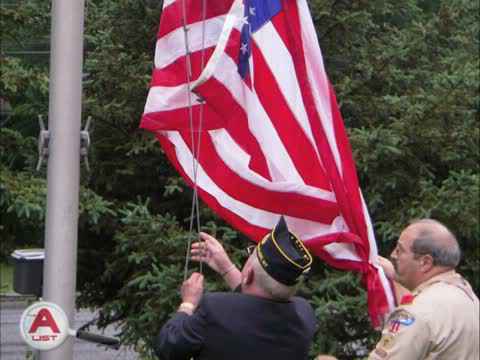 At The Elks Lodge, we place a special emphasis on veteran services and honoring our local veterans. For children, teens and adults who are looking to make a difference in a veterans service organization, the Elks Lodge is a great opportunity. For more information about who we are or our veteran service organization, please visit our website at www.elks.org. We’d love to hear from you. Please give us a call or visit us on Facebook and Twitter. Volunteer with Local Youth Organizations! Elks Lodges are places where neighbors come together, families share meals, and children grow up. Elks honor the service and sacrifice of our veterans. Elks invest in their communities with programs that help children grow up healthy and drug-free, projects that address unmet needs. The Elks Lodge is also pleased to offer many different youth organizations and projects as well. Having teens and children involved in community service is a great opportunity for all. The Elks Lodge offers enriching volunteer opportunities that are greatly appreciated by the community as a whole. The mission of the New York State Elks Association is to transform the lives of youth by empowering the youth organizations that serve them. We serve people across the Albany, NY area and beyond, providing coaching, capital, and connections to nonprofit youth organizations to help them achieve sustainable growth and maximize their impact. We view our responsibility as extending far beyond the mere teaching of athletic skills. Our programs offer the opportunity to develop moral standards in all of our young people. Volunteering and giving back to the community is great for people of all ages to be a part of. Young people especially are encouraged to see all that the Elks Lodge has to offer. If a young person is interested in volunteer opportunities in the community or a community service project, this is the place to be. Give Back. Join the Elks. If you’d like to get involved in youth organizations in Albany, NY or the surrounding Capital Region, consider contacting your local Elks Lodge. The Elks are one of the most highly regarded fraternal organizations in Albany, NY and throughout New York State. See what you can do for others through The Elks Association- one of most time-honored nonprofit organizations in Albany, NY. For more information on our fraternal organization or other groups, please give us a call today. We Also Provide College Scholarships. The Elks National Foundation provides more than $3.74 million in college scholarships each year through its three college scholarship programs. The application process and deadlines vary for each program. All applications must go through a local Elks Lodge before reaching the Elks National Foundation office. If you are interested in a college scholarship from the Elks National Foundation, meet with your school guidance counselor or speak with a member of the Elks Lodge today. They are pleased to give away a large amount of college scholarships to deserving students every year. To find out more about The Elks Lodge, contact them today! Youth Programs Hoop Shoot - Scholarships - Boy Scout - Girl Scout - Campfire Girls - Athletic Programs Little League - Football - Basketball - Bowling - Boxing - Wrestling - Golf - Swimming - Special Olympics - Summer Camps - Soccer - Medical Assistance for Children Hospital - Blood Bank - Eye Glasses - Hearing Aids - Prosthetic Devices - Physical Therapy Scholarships - Wheelchairs - Support Groups - Patriotic Programs Flag Day - Memorial Day - Constitutional Awareness - Veterans Programs Picnics - Outings - Athletic Events - Special Equipment - In Hospital Activities - Community Service Programs Donation of Lodge Facilities - Food Baskets - Senior Citizen Programs - Citizen of the Year Recognition Law Enforcement Officer Recognition - Teacher and Student Recognition - Drug Awareness Programs - Aimed at educating children in primary grades of grammar school to the dangers of drugs - Materials also in High Schools - Doctors Offices - Hospitals - Clinics - and similar places open to the public. Contact Us To Join The Elks!